I’m loving how much these recent recipes are challenging my knowledge! 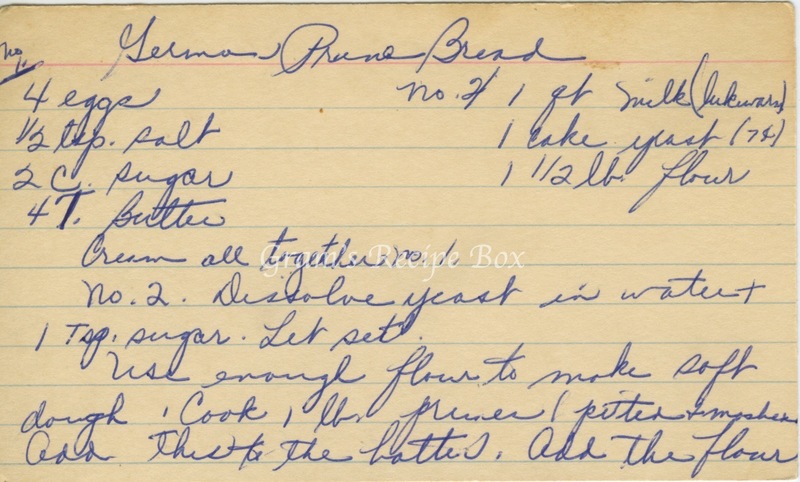 This is another recipe that sent me to Wikipedia and other recipe sites, but so far, I haven’t found anything entitled German Prune Bread recipe. 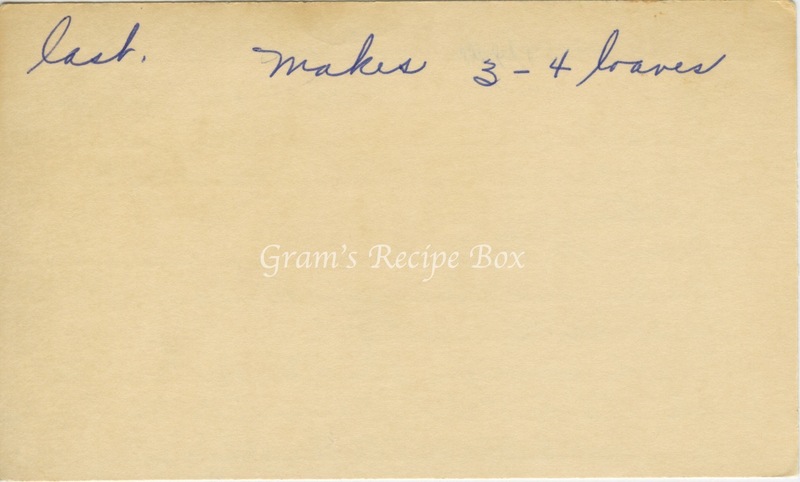 I found some recipes for plum bread which indicate to let the loaves sit for 3 days before use. This particular recipe lacks that direction, so I don’t know if it applies here. Although it is called prune bread, and Americans tend to think of prunes as those icky stewed black lumps from Sunmaid, they are a type of plum that when fresh can be stewed down to make a puree. Italian prune plumes and French prunes are among the most common. The recipe is made in two parts. You will also note it does not direct how to bake the bread, but if it makes 3-4 loaves I’d guess start with a standard bread pan and see how many you can fill. Also, since there isn’t any instruction on how long to bake it, I’d take a guess at 35-45 minutes at 350. If anyone has a better suggestion please add it in the comments! Number 2: dissolve yeast in water & 1 tsp sugar. Let set. Use enough flour to make soft dough. Cook 1 lb prunes (pitted & mashed, add this to the batter). Add the flour last. Makes 3-4 loaves.